A winter photo idea, writing with light. 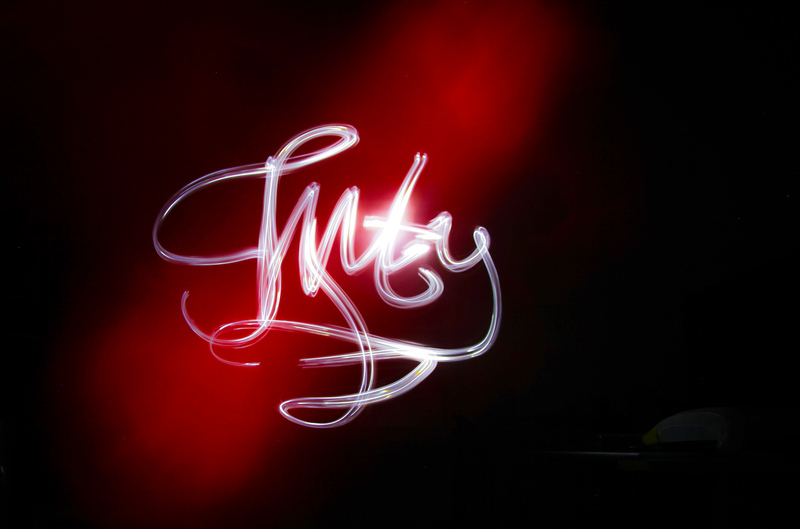 Light writing, The Signature in the dark with a bit of red blur added. A winter photo idea. On Sunday I decided that it was time to pick up the camera again. The problem was the weather was not just wet, it was cold. Not many reasons to go out and shoot. So I went for the alternative option – shoot something inside. I’ve always wanted to try some light writing photography. It’s a lot harder than one thinks… but not for the reasons one thinks. Photography itself is pretty simple, what requires a bit more work is being able to write properly. The heart above, which I thought would be a nice photo before Valentines was one in thirty and it took a while to get it looking like that. To take these photos I had two lights. A flashlight for the writing and a large LED light from my son that changed color for the background. By mixing the two it got an interesting effect. Happy valentines everyone, share some of your winter photography ideas in the comments below with tips. 11 Feb	This entry was published on February 11, 2013 at 10:48 pm. It’s filed under Canon 5D Mark II, misc, non-HDR and tagged abstract, light decorations, light-writing, love, non-HDR, photography, valentines. Bookmark the permalink. Follow any comments here with the RSS feed for this post. Glad you picked up the camera again! I’ve missed your posts. Did you write backwards, facing the camera, or did you stand behind the camera and shine the light on a surface? Also, how long an exposure did you use for the second photo? 1. I wrote normally in the air and flipped the image in Lightroom. 2. I put an ND filter because in my place I just don’t have a fully dark room and the blinds aren’t good enough. 3. For the heart I didn’t flip it as, well the heart works in both ways. 4. Exposure is about 20s for each shot. That helped get the red and colored blur.